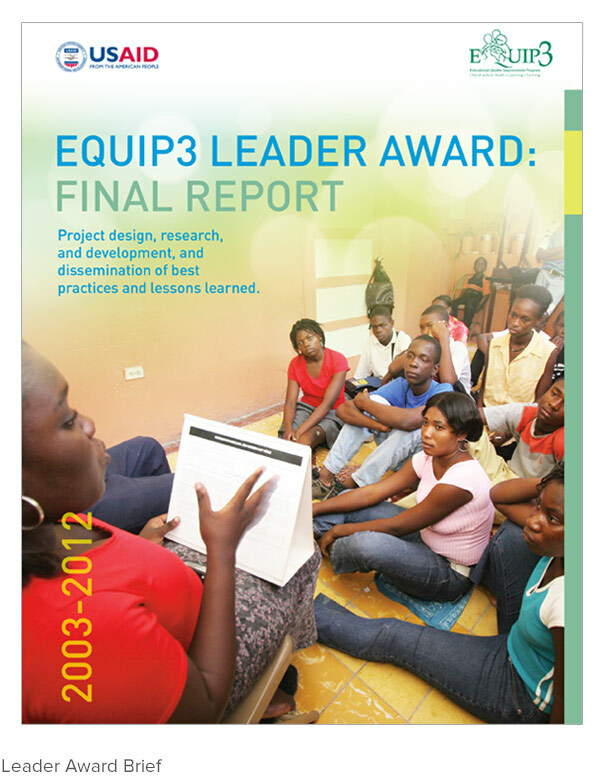 The Educational Quality Improvement Program (EQUIP3) was the first large-scale, global project dedicated to youth education. 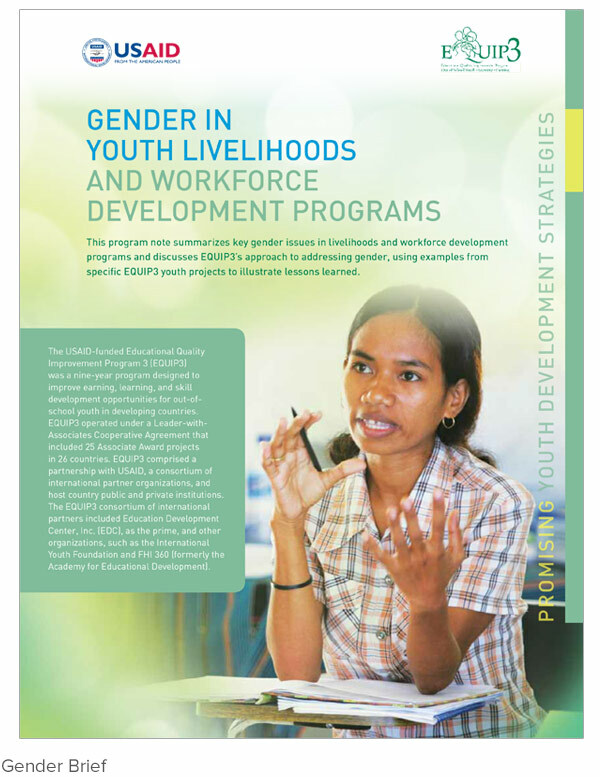 Over a nine-year period EQUIP3 improved earning, learning and skill development opportunities for out-of-school youth in 26 developing countries. 2Creative worked closely with the Education Development Center (EDC) to highlight this project in a Lessons Learned publication, a shorter Executive Summary booklet and several issue specific briefs. A color scheme was developed and a look and feel to carry across and unify all of the documents.